I had this entire post written out -- a post in which I admitted I wasn't even sure this was a topic I should broach, no less -- but when my computer died after a day of traveling this week, the post was lost. So I'm starting over, which I guess answers my question to myself about whether I want to talk about racism on a cancer blog. After all, racism is its own kind of cancer, isn't it? I thought: This isn't why your readers come here. 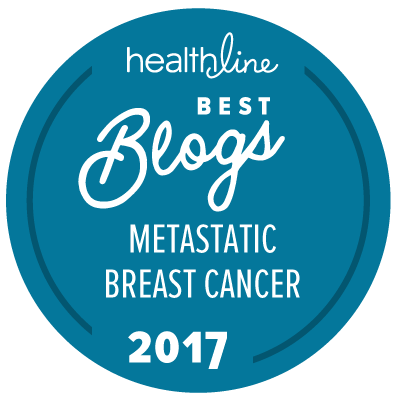 This is a blog about breast cancer, and sometimes parenting. Does anyone want to hear your opinion on our country's gun laws or its state of race relations? You have such a small voice, anyway. Who would even listen? Those were the sounds of my self-doubt, that voice in my head telling me to stay away from this one, but I’ve stayed silent for too long and it’s making my skin crawl. Also, if I can reach 10,000 readers a month? 20,000 on a good month? That's something, I think. And it's a conversation worth starting. We are so overdue for honest dialogue about race in this country. Also, I don't know what else to do, so for now, my action is in my words. If you have a platform, small or large — a website, a Facebook account, a Twitter account, an Instagram account, an email list, a group of friends at church or on the playground, a family — do you use your platform to help improve things? To discuss our world? To learn? To teach? If not, why not? But before I get to my words, let's start with Jon Stewart's words. If you haven't seen this, it's worth a watch. I thought things would have changed after Newtown. I can't quite believe that in 2015, it’s still easier to buy a gun than a car. It means that these terrorists on our own soil make me eye everyone suspiciously when our family goes to the movies, wonder if some rogue nut with a vengeance is going to open fire at a TSA agent every time Chris travels, or worry a little bit every morning I drop Quinn off at school. Our houses of worship aren't even safe. Guns are one issue and I wish we'd do more as a country to regulate them, but I am not hopeful that things on that front will change anytime soon. So someday I will have to talk to Quinn about gun safety and make sure his friends' parents don't have weapons that could kill him before I drop him off for a play date. I will also have to talk to Quinn about racism, and hatred, and fear, but not yet. I still want to preserve some of his innocence. I still don’t know exactly what to say. See? There are parallels to cancer. On privilege: did you know I am more likely to survive breast cancer because I'm white? Fifty years after the civil rights movement, our country is still flying the confederate flag over our state capitols. Ours, because as Brené Brown says, “This is not bigger than us. This is us.” This isn’t something we can continue to ignore because we don’t live in Florida, or Charleston, or Ferguson. We can’t continue to blindly believe this scourge isn’t happening in our backyards. News flash: it is happening. I don't imagine these conversations with Quinn will be simple, or easy. But certainly our talks will be easier than if we were black. Because then I'd have to warn him about continuing to wear his beloved hoodies, which are decidedly cute on four-year-olds, but might bring grave danger in his teenage years. I would have to talk to my son about how people might not trust his word, value his worth, or see his beauty, how some might even call for genocide simply BECAUSE OF THE COLOR OF HIS SKIN. Or maybe I wouldn't. Because what mother wants to tell her child any of these things? No mother I know. On my flight home from Maryland yesterday, I sat on the plane next to an African-American woman and we got to talking about motherhood, and in-laws, and our kids, and cancer, and alopecia. Her youngest is a boy, and he's sixteen. Her oldest is a pastry chef. After a bit, because I was working on this post, I asked her whether and how she'd talked to her son about Charleston. Her eyes got a faraway look and she said, "Not yet. He watches the news a lot, and I'll wait for him to bring it up. 'Til he asks. He internalizes things, needs some time." Then she changed the subject to the escaped prisoners in New York, how she hopes they don't hurt anyone. We agreed there are some terrible people out there. But also (and mostly) really good ones. What I hope I can do for Quinn until I find the words to talk about guns and cancer and race, what I hope I am doing, is guide his character to be strong, teach him to respond to adversity with grace and resilience and forgiveness. I'm not trying to jump straight to the Kumbaya part or be too Pollyanna-ish, but I believe we have to look for the good. That's one thing almost four years of living with a metastatic breast cancer diagnosis has taught me. Look for the good. Find reasons to hope. Very thought provoking as always. Thanks. Thanks, Kaye. We are overdue for dinner. When are you back in town? August? I think it's wonderful that you are using your space here to talk about this important topic. There are so many difficult discussions to have with our children today. And adults, too, as far as that goes. But have them we must. I loved that Brene Brown piece too. As she said, "this is not bigger than us. This is us." Thank you for this excellent commentary. Thanks for the support, Nancy. I wondered if it would seem to soap-boxy, but I couldn't not say something. Also, if I can start to generate some ideas about how to talk to Quinn about these issues, selfishly, that would be really great too. Thank you so much for posting this. It's very, very important. Good stuff. My daughter is 7 and she'll be aware of these types of violence very soon. I am dreading the loss of her innocence. In the meantime, we talk about race and justice for everyone in kid terms. Kids have a strong sense of fairness. They are little geniuses that way. Thanks for the reminder to talk to him in "kid terms." I think that's the simplest way to address big topics. Plus, his attention span is typical of a 4-year-old! Thank you for sharing your thoughts about this important issue many people ignore. I love how you call it a "cancer" because I agree there are many different forms of it -- the emotional kinds too (another reason why I named my blog the way I did). So many toxic situations and behaviors go unnoticed, or better yet, they get ignored. We see these things happen more often than not and not much has changed on the approach. It is very sad that there is still so much ignorance and unkindness in this world. I have faith one person at a time will help improve the situation. I have hope. I do, too. So much hope. Comparing racism to cancer was brilliant, Jennifer. It brought me up short and had me muttering "yes, yes, YES" beneath my breath. 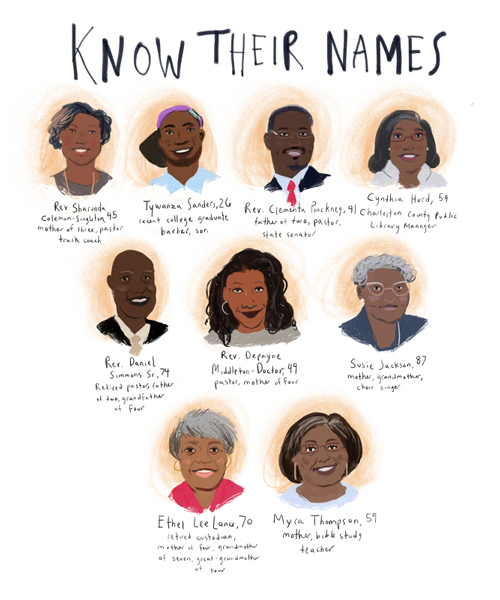 The terrorist, terrorizing murders in Charleston shocked me speechless when I first heard about them, then made me angry, so angry. Because we still haven't learned that making guns so easy for people--anyone--to get means that people are going to kill each other for no reason, or for reasons that are so evil ... so evil. And then there are the "accidents." Little children shooting each other, or being shot, or shooting themselves, because the moronic adults around them must, just must have their guns, by god, but won't put them away safely out of their children's reach. More evil. Thank you for posting about this on your blog. It may be about breast cancer, but this racist bigotry our great America is still trying to hide behind the curtains is a cancer just as deadly.